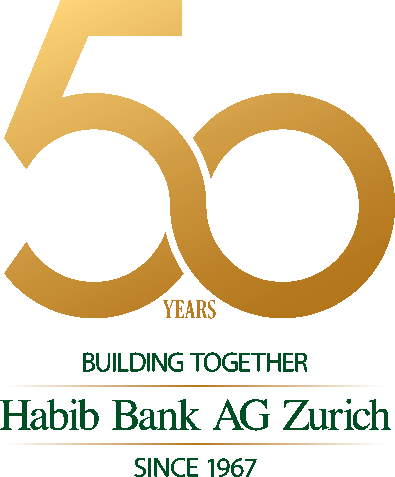 Habib Bank AG Zurich (HBZ) was established in Switzerland in 1967 on a solid foundation of banking tradition that spans several generations. Traditional banking values set in the context of international banking has determined HBZ's corporate philosophy - "Service with Security" - for over 50 years in operation. Providing corporate, personal, private, and correspondent banking products, we offer highly personalised service through our international network of branches, subsidiaries and affiliates. All group banking functions are managed out of the Head Office located in Zurich, Switzerland at 59 Weinbergstrasse. HBZ provides a complete range of products and services through its unmatched ability to offer all the services that are expected from a large institution yet provide focused one-to-one relationships with its clients. These services are highly optimized and designed for individuals, SMEs and large corporates through the bank's international network and robust delivery channels. HBZ is constantly looking for new ways of improving your banking experience whilst maintaining a high level of security and customer service. Habib Bank AG Zurich is committed to achieving best practice corporate governance. The Bank has adopted international guidelines with a view to maintaining the highest international banking standards. In 1994, HBZ began its technology innovation journey led by Reza S. Habib. The objective was to replace multiple localized systems and integrate diverse retail and commercial banking operations whilst complying with the multi-regulatory environment the bank operates in. Habib Bank AG Zurich is the heir to a rich tradition of commerce and banking dating back to 1841. The Bank was founded in Zurich in 1967, following the establishment of the dynamic Habib Bank Limited in British India, in 1941.